No trouble getting through the construction site on foot or on a bike. The street was damaged when it was undermined by high water in January 2012. With the help of bridge panels supplied by Benton County, the city made repairs at the time and later obtained a FEMA grant for a permanent fix. 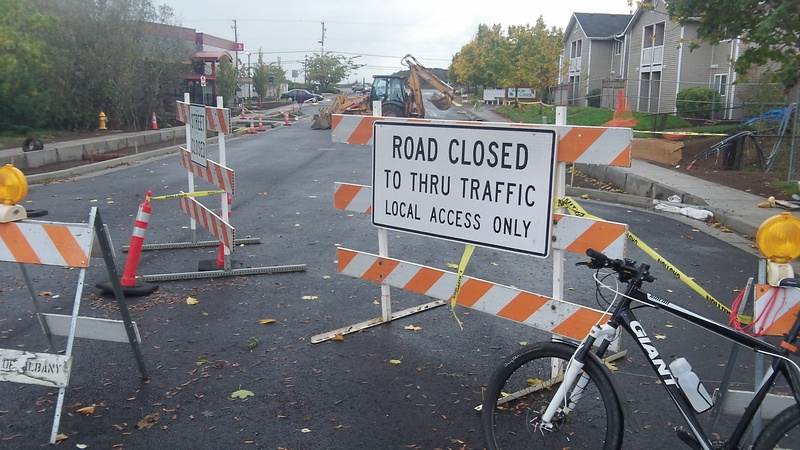 Federal and state regulations to protect fish and plant species held things up for months, but in May 2014 the city awarded a $484,100 contract to North Santiam Paving of Stayton to install a three-sided box culvert. 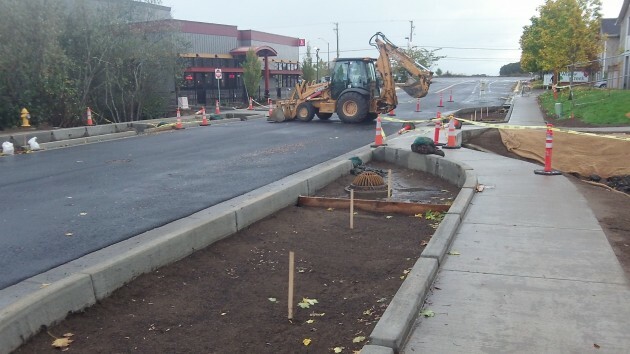 This area presumably will be filled with rocks and vegetation to deal with runoff. Nearly 1/2 $million thanks to “our government”.